Advanced Naturals produces a number of different enzyme formulas, each is designed to meet your unique digestive needs. 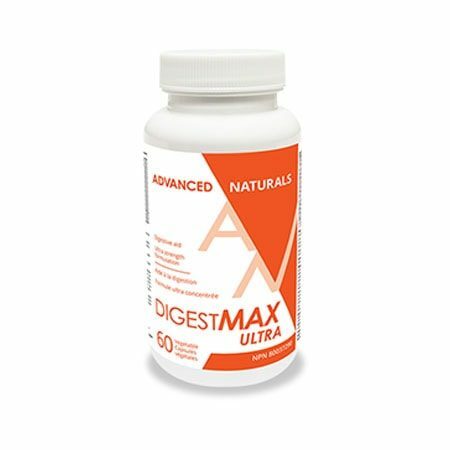 DigestMAX ULTRA is a therapeutic strength enzyme formula designed for those whose digestive problems occur on a daily basis, or are serious in nature. DigestMAX ULTRA contains powdered enzymes in vegetable capsules. When DigestMAX ULTRA is taken with a meal, it works to break down food products into their smallest usable components (nutrients). This allows the body to absorb the maximum amount of nutrients from your meal. When food is effectively broken down, the overall function of the digestive system is improved, including a reduction in the amount of gas produced. 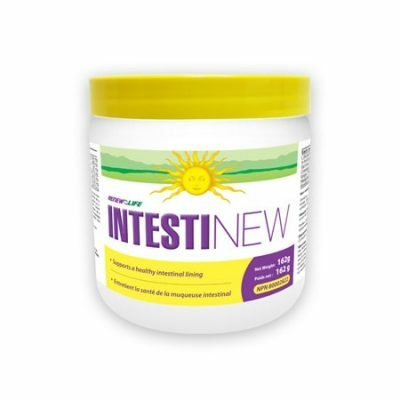 DigestMAX ULTRA contains digestive enzymes. Enzymes are catalysts for chemical reactions within the body. Without them, food is not broken down properly. Many people do not produce enough enzymes, therefore they are unable to absorb all of the nutrients from the food they are eating. This leads to symptoms such as gas, bloating, heartburn, constipation, and is the first step toward more chronic disease. DigestMAX ULTRA contains enzymes which address every type of food group including; protein, fat, carbohydrate, dairy, fibre and sugar. The elements in DigestMAX ULTRA enhance digestion beyond what the body is normally capable of. This combination of enzymes functions under the whole range of gastric pH’s from 2-14. DigestMAX ULTRA also includes the enzymes Phytase and Pectinase, which break down harmful phytates, which can cause malabsorption. Phytates are found in seeds, grains, and beans. Phytates have been shown in clinical studies to block the absorption of many minerals, especially calcium. This can be problematic for vegetarians, as these foods are staples in their diet. By breaking down phytates, DigestMAX Ultra eliminates this problem. DigestMAX Ultra also contains the enzymes Cellulase, Hemicellulase and Xylanase which the human body is unable to produce. 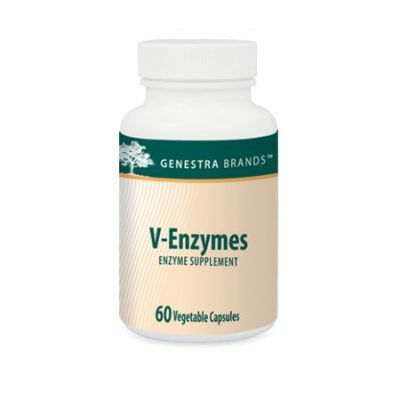 These enzymes break down plant fibres, which cause gas and bloating. If undigested foods reach the large intestine, it becomes fuel for the “bad” bacteria in your intestinal tract. These “bad” bacteria will putrefy the undigested food, releasing volatile fatty acids and gasses that cause bloating and often foul smelling gas. If you provide your body with enough enzymes to break down all of your food, then the “bad” bacteria will have nothing to ‘eat’, and bloating and gas diminish. Vegetable capsules (hypromellose, water), Maltodextrin (potato source)Contains no nuts, peanuts, sesame seeds, mustard seeds, wheat, gluten, yeast, corn, egg, dairy, soy, crustaceans, shellfish, fish, animal products, artificial colour or preservatives, binders or fillers.Advanced Naturals does not use genetically modified ingredients. All ingredients are NON-GMO / GMO-FREE. Consult a health care practitioner prior to use if you are pregnant or breastfeeding. Consult a health care practitioner prior to use if you have diabetes, gastrointestinal lesion/ulcer, or are taking anticoagulants / blood thinners, or anti-inflammatories. Consult a health care practitioner prior to use if you have allergy to latex or fruits (such as avocado, banana, chestnut, passion fruit, fig, melon, mango, kiwi, pineapple, peach, and tomato). Consult a health care practitioner if symptoms persist or worsen. Do not use if you are have an upcoming surgery. 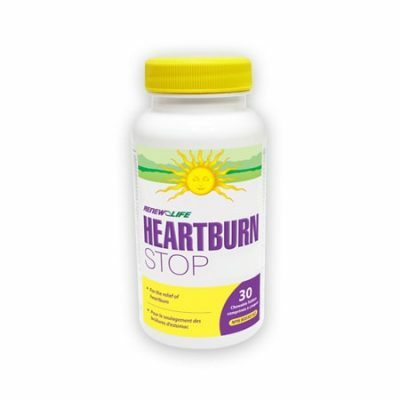 Headaches, heartburn, bloating and hypersensitivity (e.g. allergy) have been known to occur; in which case, discontinue use. Do not exceed recommended dose. Keep out of reach of children.